Providing you the best range of snap rings and snap ring with effective & timely delivery. We are involved in offering the comprehensive range of Snap Rings as per the taste and preference of our valued clients. 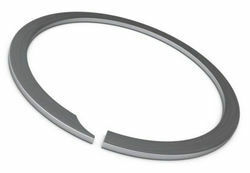 As Snap Rings are used as a fastener; these Snap Rings are the semi-flexible metal ring that comes with open ends. On offer from us is a comprehensive range of Heavy Series External Circlip that is available in various dimensions and sizes. Manufactured with the use of premium grade steel springs, these Heavy Series External Circlips are often used in assemblies. Known to be used in high rotational speeds, our range is provided with legs with holes to fit or remove the pliers in a rapid manner. 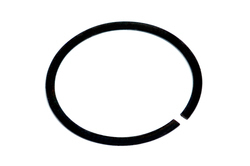 Looking for Snap Rings ?